A 39-year-old man from Aberdeen has been charged in connection with a total of 28 alleged shoplifting thefts across the city and Aberdeenshire. Incidents at convenience stores were reported in areas including Kingswells, Westhill, Newmachar, Ellon, Tarves, Portlethen and Kintore. The man, who is from the Mastrick area, is expected to appear at Aberdeen Sheriff Court today (Friday, August 25). 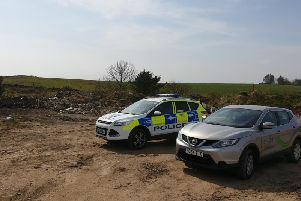 PC Jenna Cruickshank, from the Inverurie Community Policing Team which assisted with the investigation, said: "I would like to thank all members of the public who assisted with our enquiries." She added: "I would like to take this opportunity to remind local shops and their staff to be alert at all times, and for stores to maintain good quality and working CCTV which can be of great help when the worst happens and a crime does occur. "Anyone with concerns about security can contact Police on 101."